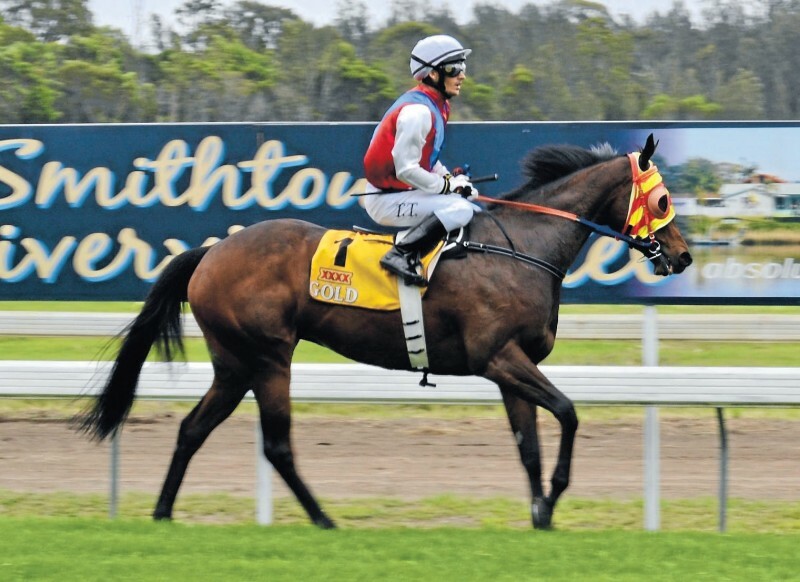 PETER Graham rode Geronimo Jack to victory in the 2012 Kempsey Cup, for his fifth Kempsey Cup success. The $7-priced gelding came from last place to sail through the field in the home straight, overtaking local horse Hackers, which had led coming out of the final bend. For trainer Peter Goodenough the result was far from a surprise. ”Pete (Graham) wanted to ride the horse and gave me the idea of coming here,” he said. 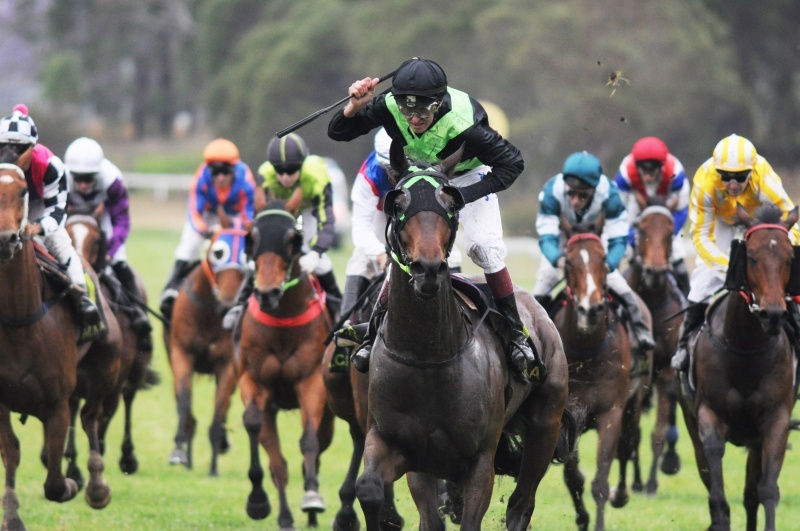 Geronimo Jack had won in similar fashion at Taree, 10 days previously. “I’ve run two winners at Taree and Tamworth, but Kempsey has been my luckiest track,” jockey Graham said. “He’s a big strong horse and runs better from the back. A largely partisan home crowd was buoyed by the prospect of Hackers maintaining the home straight lead, but in the end he was overtaken by the winner and the runner-up and race favourite Better Not Doubt. Matt Brennan and Steve Keir from the Plan B syndicate had dared to believe their gelding – ridden by Marlon Dolendo - would hold off the challenge. “He had a good ride and when I saw him coming down the striaight, I thought he was in it,” Brennan said. After presenting the Kempsey Cup as the main sponsor, Steve Keir – the managing director of Akubra – praised the manner of the victory. “I thought Hackers might be able to win, but credit to the first-placed horse, Geronimo Jack, he won and won well,” he said. Last year’s Kempsey Cup winner Cuban Dancer finished well down the field in ninth place, just behind the other local entrant Azatorah, trained by Barry Ratcliff. Geronimo Jack’s win was bad News for the bookies. “He was very well backed, so we had a big pay-out,” Geoff Vincent, who works for bookmaker Terry O’Shea, said.